When Voith/SEW closed their Middletown Ohio facility in 1972 it spawned the birth of Spinnaker's paper machinery partner, Miami Machine Corp (MMC). For over 40 years since, Miami Machine has designed and built paper machinery that delivers outstanding value and exceptional performance. 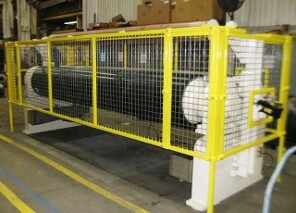 Together we engineer and supply fourdriniers, press sections, dryer sections, calendars, and reels. MMC roll-out, front-lift or cantilevered tables in stainless steel are solidly built and give decades of dependable use. From rebuilds to tri-nips, Spinnaker and MMC can design and build the press you need for the most demanding papers. 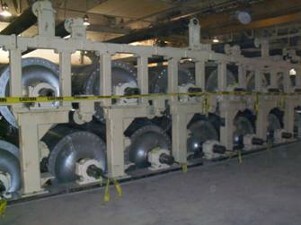 Many older paper machines suffer with shaky dryer section frames. Our tubular steel frames are compact and easy to install. 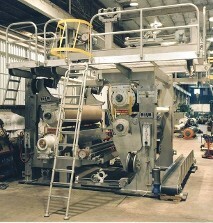 Incline, vertical or horizontal size presses to fit the application and sheet path. Two roll and multi-nip calendars. 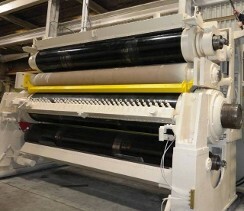 Crowned rolls, swimming rolls, zone controlled and temperature controlled rolls. As with all MMC and Spinnaker equipment, our reels focus on practicality, safety, performance, and cost effectiveness. 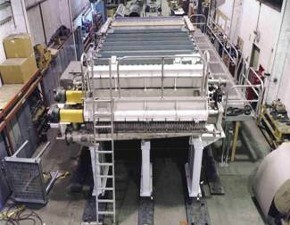 We also upgrade and rebuild existing paper machine sections; design and manufacture custom equipment and ancillary equipment such as felt stretchers, wire stretchers, felt guides, and Uhle boxes. 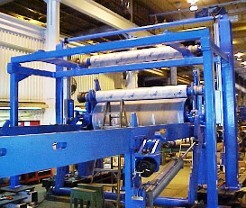 We often help mills by locating and refurbishing used equipment to rebuild or replace their own existing equipment.